HomeCity Real Estate sent two teams to spend some time volunteering at the Ronald McDonald House of Austin on June 5th and 9th, 2014. The Ronald McDonald House Charities of Central Texas’s mission is to create, find and support programs that directly improve the health and well-being of children and their families. One of the ways they do this is through the Ronald McDonald House. The House aims to provide a safe and affordable place for families to stay while their child is in the hospital with a serious illness. 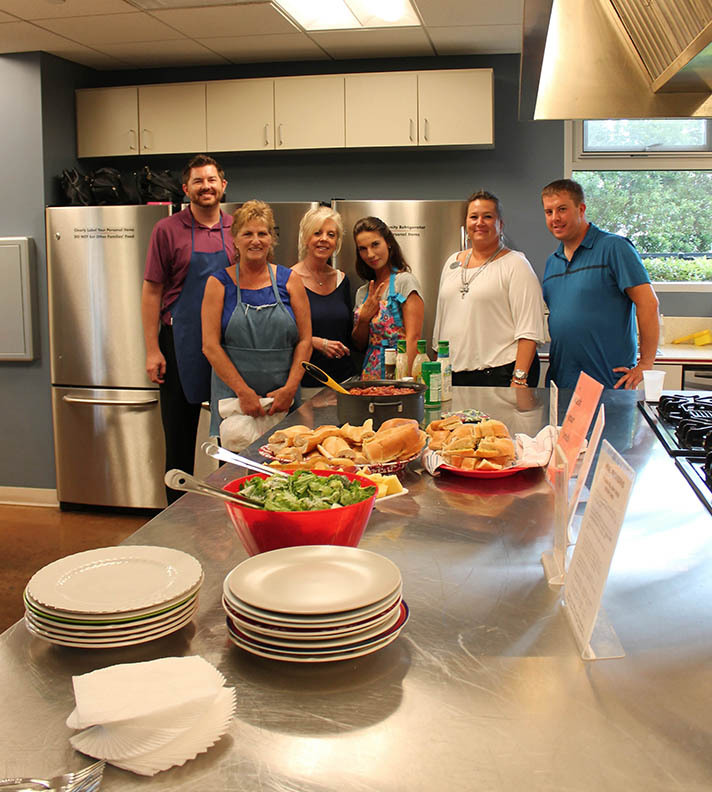 Realtors and management provided and prepared two separate meals, a lunch and a dinner, for the families staying at the house. When a child is diagnosed with a serious illness, families face emotional distress, financial strains and many other devastating consequences. In addition to attending to the medical needs of their children, families can struggle to remain together, maintain their jobs, care for other children or family members, and keep up with expenses. By providing meals for these families while they are staying at the Ronald McDonald House, volunteers do their part to help ease this struggle for them and help face the burden of childhood illness together. HomeCity Real Estate’s commitment to community involvement is exemplified through its continued participation in community service events. If you would like to support the Ronald McDonald House Charities of Central Texas, you can visit http://www.rmhc-austin.org/how-youcan-help to find out how to volunteer, donate, or cook a meal. HomeCity Real Estate is a technology based real estate company headquartered in Austin, TX. Founded in 2000, HomeCity expanded to Dallas/Fort Worth in 2007 with more than 75 agents combined today. For more information, or to buy or sell a home in Austin or Dallas visit www.homecity.com.